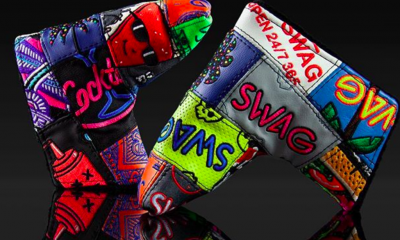 Every wonder why one golfer is so proficient with his driver, but cringes when has has a wedge in his hands? 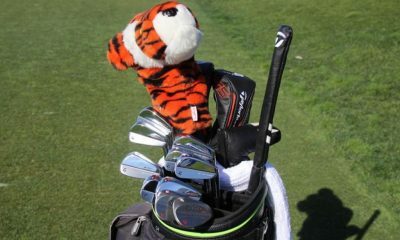 Another golfer may be an excellent short iron player, but he is scared stiff of his long irons. Is it all just skill level and practice? 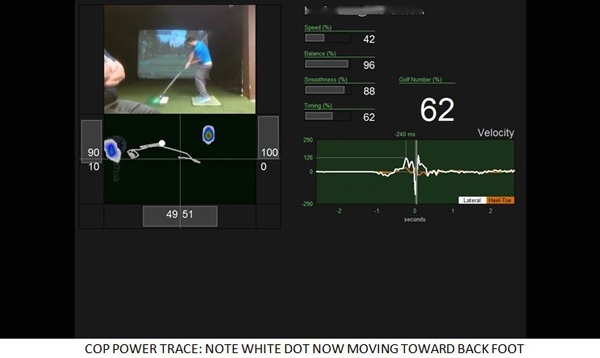 For years, I’ve been obsessed with finding ways to build the tools I need so that I could validate the notion that “one optimal swing type for a complete range of golfers’ needs” just doesn’t make sense. 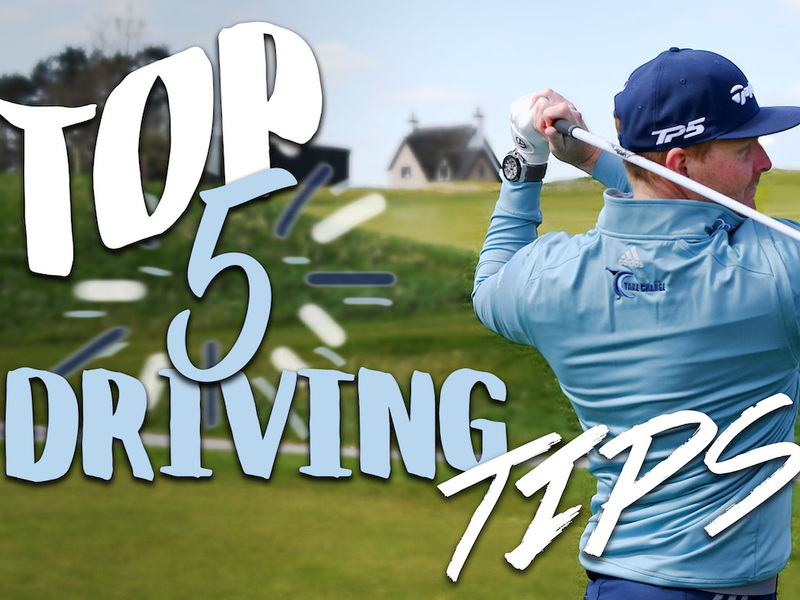 It seems to me that teaching just one swing type without showing a golfer how to adjust for each particular shot is very much like trying to select one car to suit all the family’s needs. Basically, it’s just a series of comprised decisions that invariably never meets the total needs. Working with a medical company called Patientech Vista in Winnipeg, Manitoba, Canada, our team developed a golf pressure mat called BodiTrak that measures center of pressure. 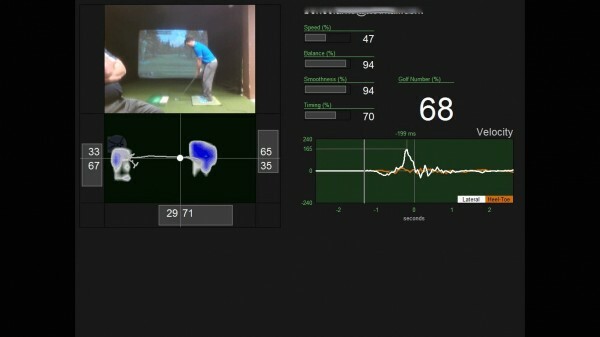 By measuring the average position of a golfer’s vertical forces while in either in a “static” (set up in the address positions for various shots) and or “dynamic” position to capture complete swing data using sound as the trigger for determining impact and the web cam off your laptop for integrated video, we now can now bring center of pressure, or C.O.P. golf pressure mapping to the masses. 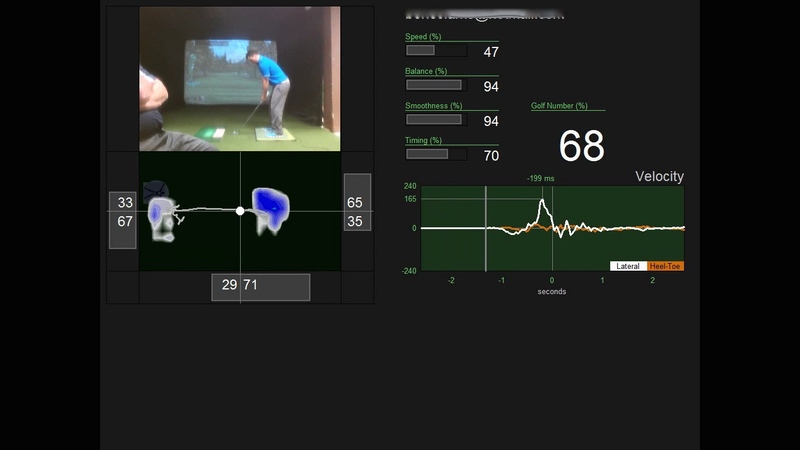 What you will see below are actual screen shots of the BodiTrak user interface. A bit about BodiTrak: BodiTrak is a highly portable golf pressure mat that can be rolled up into a trim carrying case, weighs approximately 8 pounds and can be used both indoors and outdoors on any type of lie, putting, chipping, downhill and even side hill lies and sells for under $2,000. Dr. Sasho MacKenzie, a well-known golf biomechanist from St. Francis Xavier University in Antigonish, Nova Scotia, Canada and I did the initial validation of the BodiTrak Golf Pressure Mat as compared to an AMTI Force Plates that many of the top researchers in golf use. The results were positive and the trace patterns near match up in near identical fashions. Much of the information we all can now capture has never been seen before, in particular the C.O.P. traces from the unusual lies, downhill lies, sidehill lies and so forth. Pressure mapping itself is not a new topic. 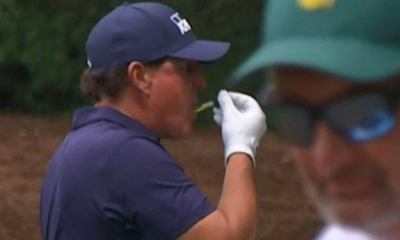 All successful golfers innately understand the significance of proper weight and balance issues. But until now, the lack of portability and high costs of force plates have restricted validating weight and balance issues. 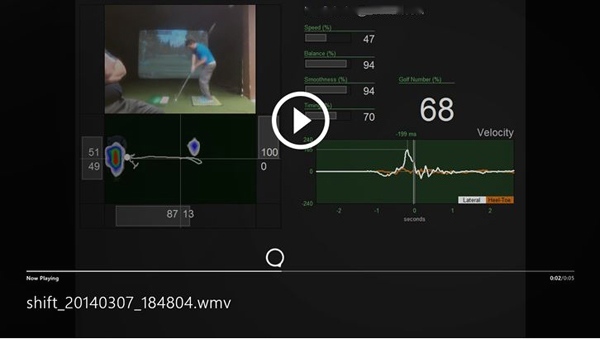 Most of the data collected to date has been restricted to but an elite group of researchers, biomechanists and advanced golf academies. 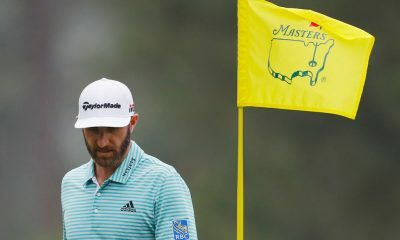 Recently, an article was written comparing the brake effect of a baseball player to golf, and this was just the encouragement that I needed to reach out and submit this article. It turns out that this brake effect is exactly what we refer to in our pressure mapping system as the power trace. While conducting an early spring symposium at Holland Golf College in Prince Edward Island earlier this year, I ran through all 43 golf students on the golf pressure mapping device. The results were obvious and very interesting, and I’d like to share them here with you. Hockey is Canada’s national sport, and it’s easy to understand that so many of the Holland College group I was testing were well versed in slapshots. 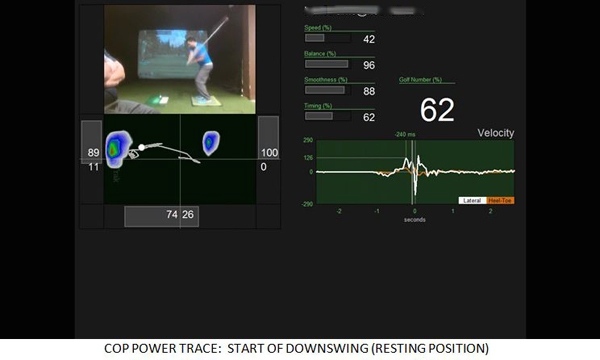 I was very curious to see if many of these young golfers that had the power trace actually knew what they were doing to create the power. Amazingly, most did! It turns out that in hockey (just it as in baseball), the most powerful slapshots are produced when the front foot is used as a brake, slowing down the forward momentum providing resistance to hit against. This is a well-established fact among hockey players and makes total sense. Otherwise, you would be sliding forward and very little power would be generated in a slap shot if this technique wasn’t used. 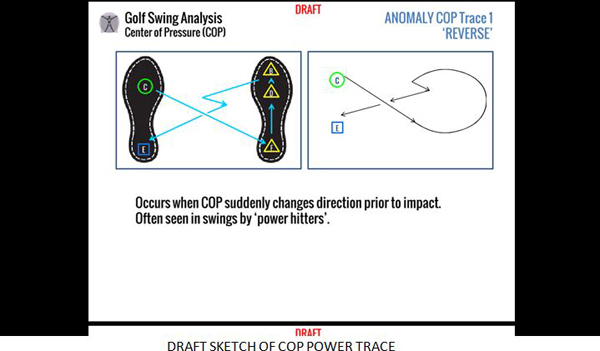 The power trace illustrated below indicates that the C.O.P. 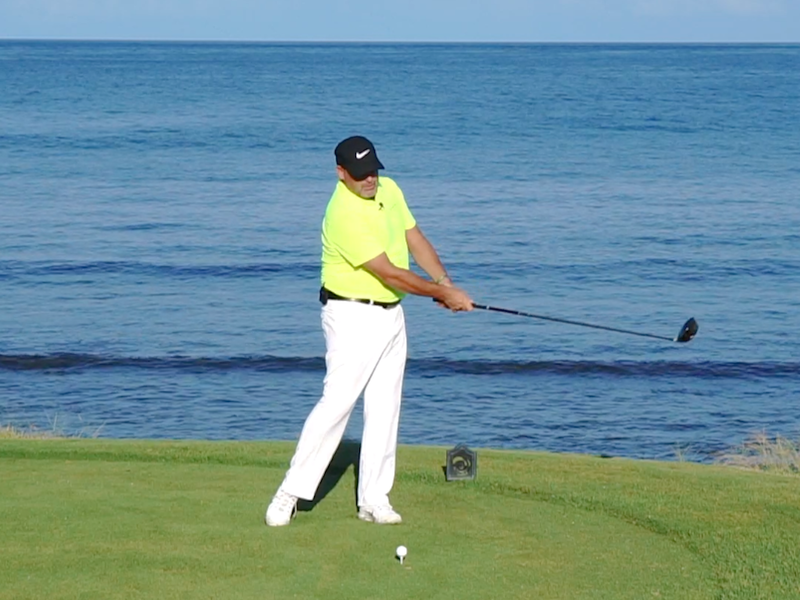 DOT (white dot) moves hard to the front foot even before the golfer completes his backswing. I refer to this as the “resting” position. Next, the vertical forces in the C.O.P. trace reverse toward the back foot just prior to impact, allowing the golfer to create the resistance that generates his impressive power. When polling the students, I asked this distinguished group of power hitters to describe their short iron and wedge play. Most indicated that their irons was not their strong suit. This made perfect sense. For if you use this C.O.P. 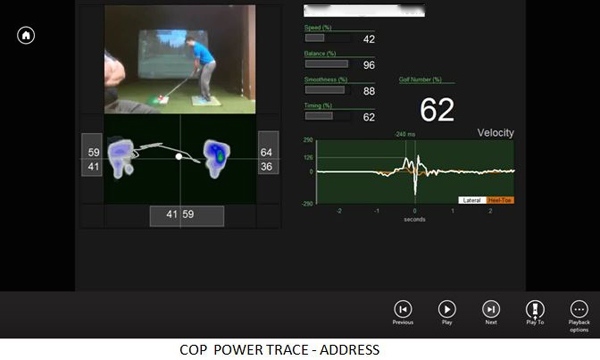 power trace for all your shots, you are effectively pulling up prior to impact, which may not be ideal for short iron play. Below is a great example of the C.O.P. power trace collected at my Holland College symposium. By the way, if you slow down the new D.N.A. 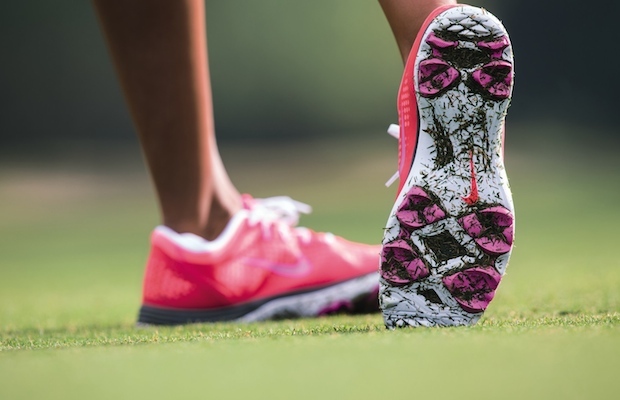 golf shoe add by FootJoy, you’ll see the same C.O.P. Trace they are showing on their pressure map. A Holland College player selected by his peers as the best iron player. The same player as above C.O.P. iron trace. 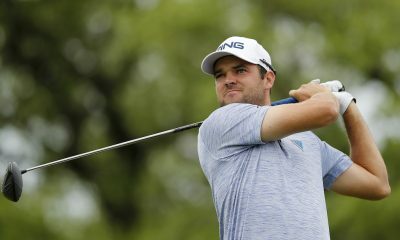 When these power trace hitters were questioned about their personal iron play, I also asked all of their power trace peers who was the best iron player in their group. The same golfer, Ben, who used the power trace with his driver, demonstrated a completely different C.O.P. trace with his irons! Through thousands of hours testing with the BodiTrak Golf Pressure Mapping device, I’ve come to call this C.O.P. trace “linear,” as it illustrates the a golfer’s transfer of a weight in very simplistic manner: straight back and straight through. In actual field testing, I’ve found that this linear C.O.P. 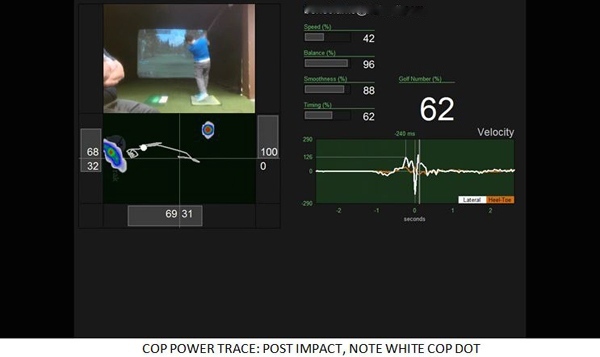 trace is used by very accurate golfers and a very reliable C.O.P. trace of a golfer with strong short iron performance, where power generation is not a crucial part of the optimal overall result. Of all the various C.O.P. traces, the linear trace is not the most powerful, but it does seem to represent the most accurate C.O.P. trace for short iron play. I’ve posted the power trace at on Youtube for your greater scrutiny. While C.O.P. analysis is purely research at its infancy, it’s very clear that the ideal C.O.P. trace for optimal distance is not the one that is to be used for optimal control. 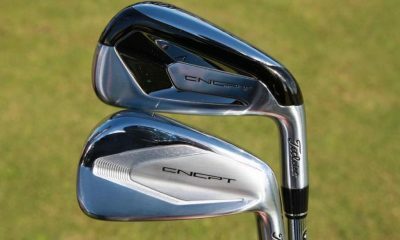 Each set of clubs, be that driver, fairway woods, irons and the likes, all will have their own optimal C.O.P. trace patterns. That is not likely a revelation to most. 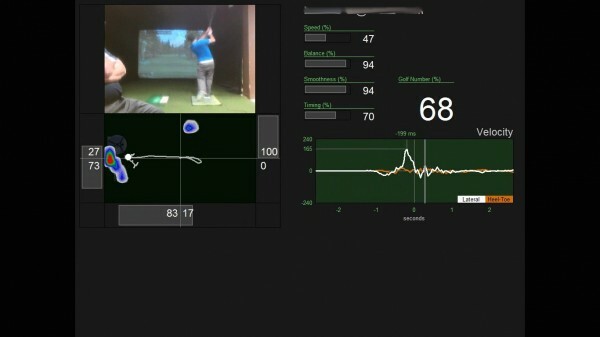 Finally, a solution to understanding that one swing for all shots is not an optimal solution. 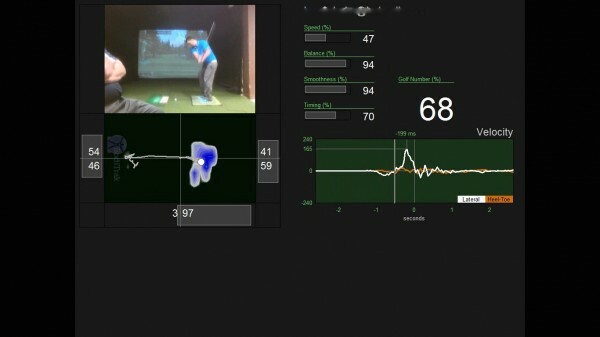 This science shows that predictable traces serve each particular shot required and help golfers quantify feel. Unfortunately, as I learn more and more about C.O.P. golf pressure mapping, my lifetime obsession to prove my notion has not subsided, rather it has grown. I work with the BT mat and think it’s great. 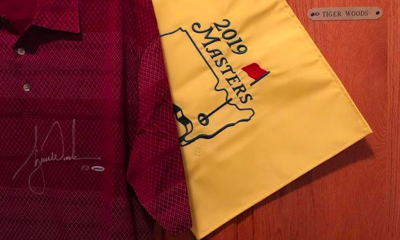 Have you got some data from tour players you could share with me, or do you know where I can find such? We’ve just integrated into the Swing Catalyst Software and there is more a more tour data coming every day. But its all the same to the extent of that a top amateur. Its very intriguing and interesting to see that the Linear Trace works best for accuracy and the Power Trace not so well for irons, and this is 100 % a correlation that is real. The feet show a percentage right and percentage left which is a relative measure, not absolute. 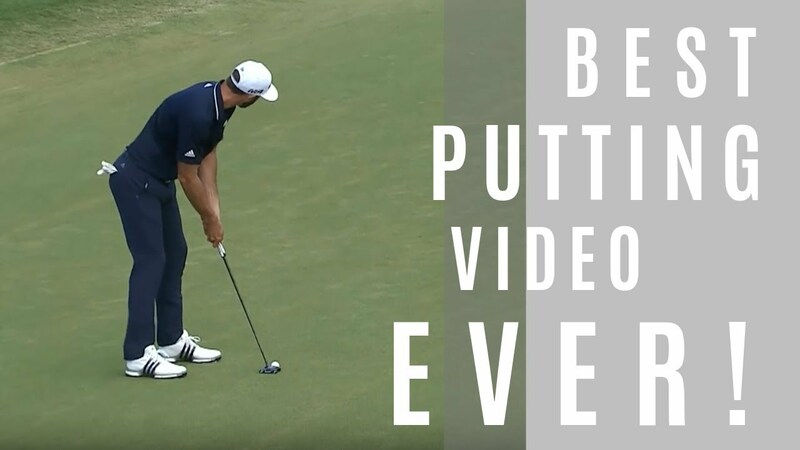 I the youtube swing video, you see the player’s driver swing causes his rear heal to lift well before impact, and soon after impact his front foot leaves the ground for a moment, spins out a bit, and then lands again for his finish position’s support. Is it possible that the backward movement of the dot is a function of this movement, and what COP is by definition?… which as I understand it is not the same as center of gravity. What do you think the trace of someone that doesn’t pop up near, during or just after impact would look like? Players like Kenny Perry who keep their rear foot heel planted through impact will likely show a very different COP trace, right? My apologies for this terribly late response, but just as well because we’re learning more and more every day. Center of Pressure is the average sum of all the vertical forces we measure on the mat. It is a strict measurement of motion in 2 directions Side to Side and Front to Back. Great article. 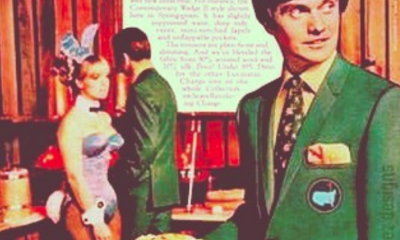 I’ve also been intrigued by what you’re studying–that is–the movement of the C.O.P. 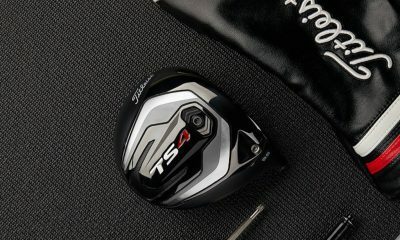 throughout the swing and how it changes from club to club. 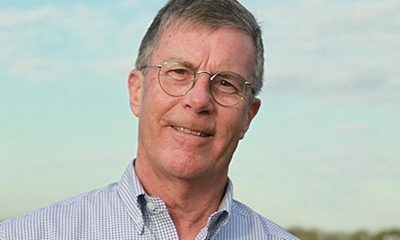 Interesting, I just read an article on GolfWRX by Bill Schmedes III (“The Difference Between Amateurs and Professionals is in the Ground”, April 28th). In the article he covers some of the same principles you’re studying but with one main difference. 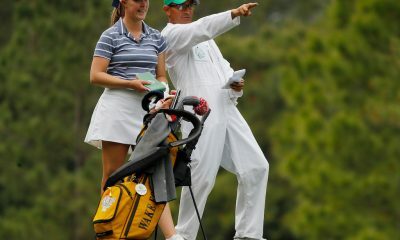 He indicated to me (in the comment section) that a golfers C.O.P. and weight transfer remain essentially the same from club to club and whether the ball is teed up or not. Just from my own practical experience, I wanted to disagree but–hey– he’s got the data. Your findings seem to align with my premise while contradicting his. Care to comment? Hi there J Sheehan and thanks so much for the positive comment. I actually read Bill Schmedes article and what I took from it was that COP Traces don’t differentiate from your method of instruction – be that Stack and Tilt and or McClean and or Annika and or anyones methods. We know with certainty that 1 trace for all swings is not optimal. All instructors know that and I’m glad you feel the same. 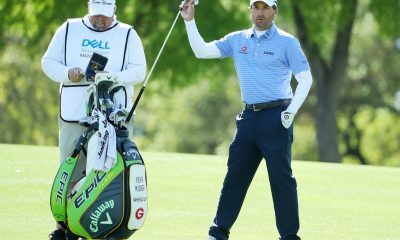 But I thought Bills article more eluded to the fact that COP Traces tell the truth regardless of what method the golfer instructs – Which I agree with. Well put Terry and yes that’s what I was attempting to convey. Great article also! Very valuable and thank you. Both you and Mr. Schmedes are doing cool work. Hope to read more about what you find in the future.